The Discover St Kitts Nevis Beaches Blog is a kind of a mini-journal with short messages to let you know about new additions, updates and changes to my web site. The blog is automatically updated whenever I upload a new page to my website. Prior to establishing this page, I manually updated you on new happenings on the website via my what's new page. Let you know when I will be mailing the St. Kitts and Nevis Beach Buzz e-zine. Inform you about the date, time and place for the next forum members link up. Keep you up-to-date with news on travel and tourism related developments in St. Kitts and Nevis. To subscribe to my Discover St Kitts Nevis Beaches Blog (no e-mail necessary), right-click on the orange RSS button (see buttons to the left below the navigation bar) and then paste the URL into your RSS reader. Or click on the Add to My Yahoo!, My MSN or Add To Google button to read my blog using any of these services. St Kitts Timeshare accommodations offer affordable and relaxing vacations in a tropical paradise. 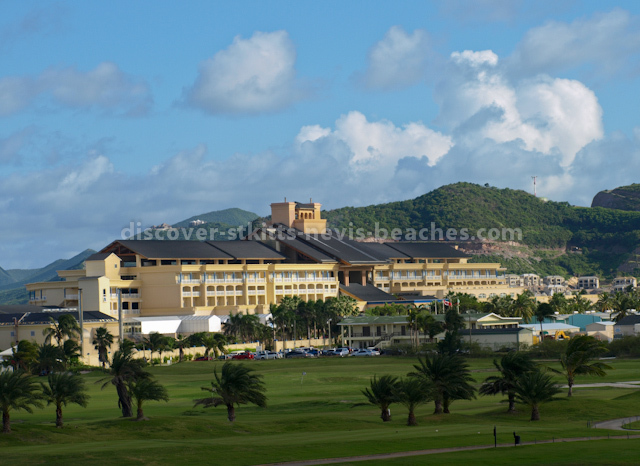 Marriott's St Kitts Beach Club is one of the premier timeshare resorts on St. Kitts. Continue reading "Experience St Kitts Timeshare Accommodations"
Enjoy amazing St Kitts tours with Poinciana Tours operated by David Swanston. An experienced and knowledgeable tour operator, David will guide you on rainforest hikes, Mt. Liamuiga volcano hikes, city and beach tours and St. Kitts island safari tours. Continue reading "The Best St Kitts Tours with Poinciana Tours"
The Sea Bridge Ferry is a car ferry service operated by Sea Bridge St Kitts & Nevis Inc. between Majors Bay, St. Kitts and Cades Bay, Nevis. Continue reading "Sea Bridge Ferry in St. Kitts and Nevis"
American Airlines has added a third weekly flight from JFK to St. Kitts for Summer 2014. The flight will operate on Fridays from June 13 through September 5, 2014. This is a convenient flight for those in the Northeast US who are planning to visit St. Kitts and Nevis for the St. Kitts Music Festival, Nevis Culturama or the CPL T20 Cricket. Coupled with the "Summer Sunsation" promotion announced by the St. Kitts Tourism Authority, summer 2014 will be a great time for planning a St Kitts family vacation with the kids. The Summer Sunsation offers free nights for travelers and kids stay and/or eat free at participating hotels. Continue reading "More AA Flights to St Kitts from JFK For Summer 2014"
Choose St Kitts and Nevis Citizenship by investment for fast dual citizenship/second citizenship and a legal second passport that provides visa-free travel to over 120 countries. Continue reading "Is St Kitts and Nevis Citizenship Right for You?" Secure citizenship by investment and a second passport in 3 - 5 months from St. Kitts and Nevis, the country with the oldest and most highly respected economic citizenship program. Continue reading "Citizenship by Investment: Some Important Considerations"
Your stay in St Kitts will not be complete until you have visited some of the top St Kitts attractions including Brimstone Hill Fortress National Park, Wingfield Estate, Romney Manor and Black Rocks to name a few. 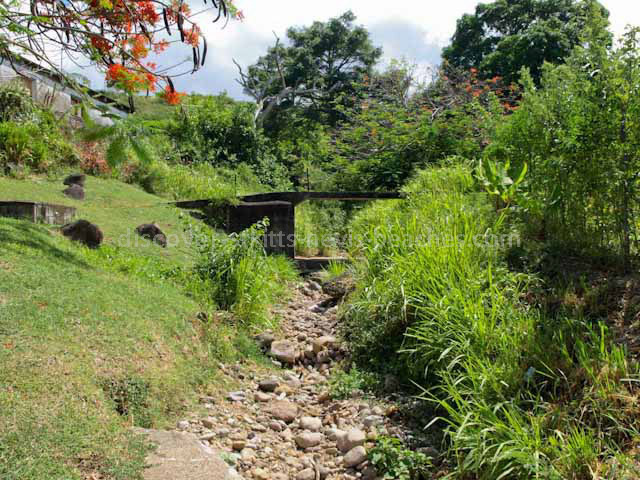 Continue reading "Must See St Kitts Attractions and Historic Sites"
A guide to getting married in St Kitts Nevis. Continue reading "All You Need to Know About Getting Married in St Kitts Nevis"
Green Cruises: How Green are Cruises to the Caribbean? Find out which Caribbean cruises are considered green cruises and the green initiatives undertaken by the major cruise lines. Continue reading "Green Cruises: How Green are Cruises to the Caribbean?" 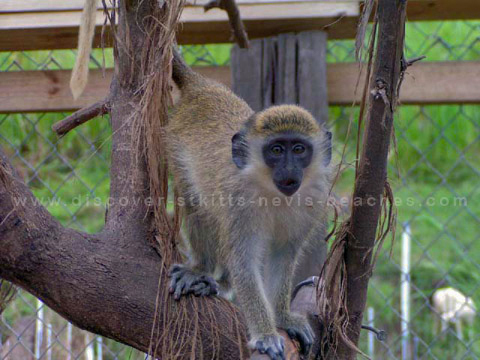 An informative and no nonsense guide to St Kitts and Nevis real estate. Complete with info about the St Kitts real estate market, who can buy St Kitts and Nevis property, the buying process and real estate closing costs. 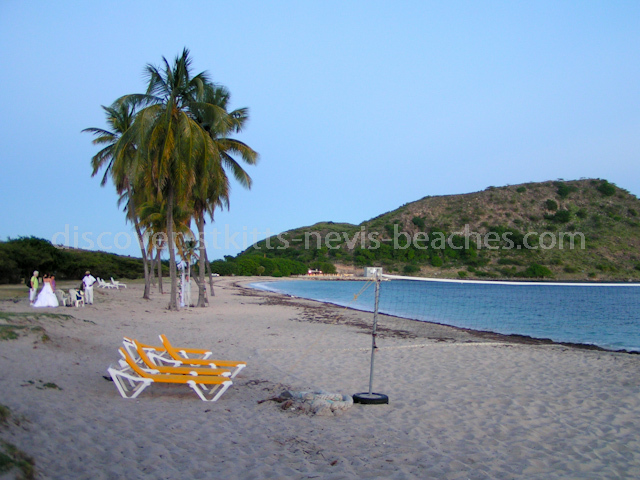 Continue reading "Your Guide to St Kitts and Nevis Real Estate"
In the April 3, 2013 issue of the St Kitts and Nevis Beach Buzz, I announced that the Discover St Kitts Nevis Beaches website is going mobile. If you missed that announcement, you can still see what the mobile site looks like before it is officially unveiled by going to http://www.discover-stkitts-nevis-beaches.com/mobile on your mobile phone and following the instructions on that page. Continue reading "Discover St Kitts Nevis Beaches is Going Mobile"
Just a quick update to let you know that we are now on Google+. Hop on over to https://plus.google.com/u/0/b/115534504501581745236/115534504501581745236/ and don't forget to follow us on Google+. Continue reading "Check out our Google+ Page"
An amazing fully supervised St Kitts Quad Bike tour /St Kitts ATV and Beach Tour that takes you on an exploration off the beaten track. An exciting Caribbean 4X4 self driving safari - a must do St Kitts ATV tour. Continue reading "St Kitts Quad Bike Tour / St Kitts ATV and Beach Tour"
Captain Sunshine Tours offers a variety of exciting St Kitts tours and island safaris. Their St Kitts shore excursions are designed to appeal to nature loving and adventure seekers. Continue reading "St Kitts Tours and Island Safaris with Captain Sunshine Tours"
Continue reading "St Kitts Nevis Car Rental Agencies"